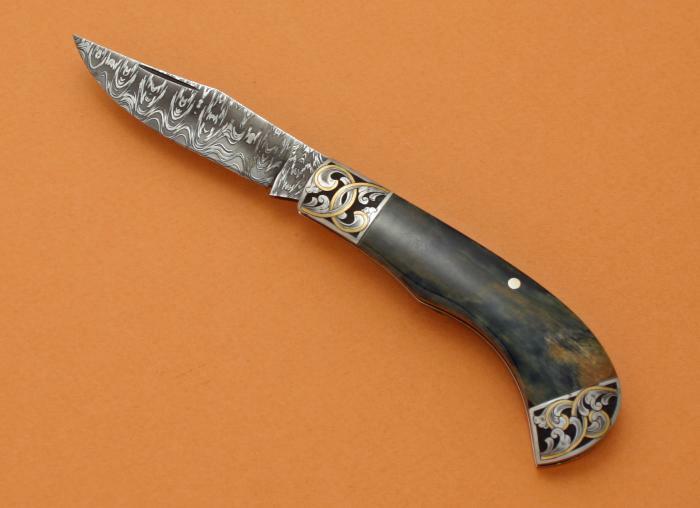 This is the first of 10 one of a kind folding Selva Bowies. Each will be Ivory, each will have different engraving or pattern of damascus blade, but each will be one of a kinds, just the same pattern of knife. An expected one year delivery. It is something I want to play with. Call or email for your spot.